Only a few days left to register for the Michigan Statewide Grassroots PowWow! We have great speakers coming from across the country and Michigan who will be speaking on issues happening in our state and nation! There will also be targeted breakout sessions and over 30 sponsor tables! Tickets are only $25 and include the optional Friday evening social, the Saturday conference, lunch, refreshments, and breakouts. 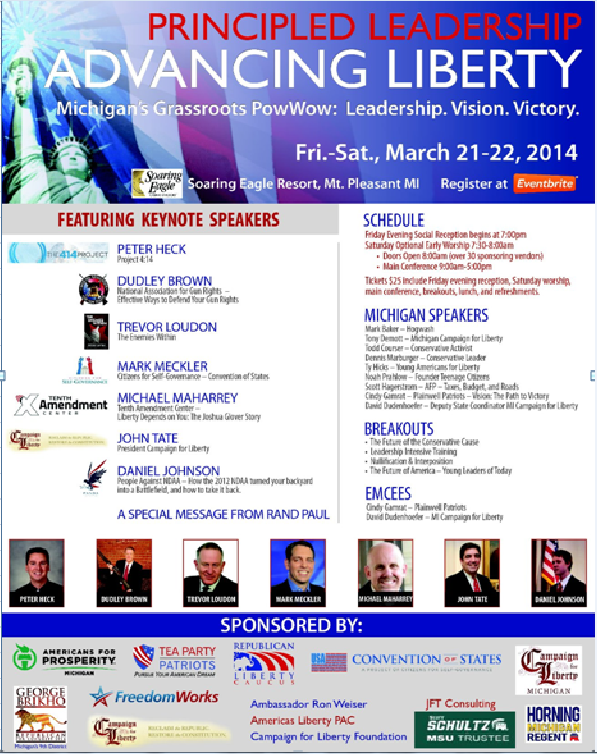 Click here for the PDF flyer with hyperlinks to the speakers. Register here at Eventbrite! This event is going to be incredible and I can’t wait to see you there! ← Mondays Divertere: Ya Know What I’m Saying?